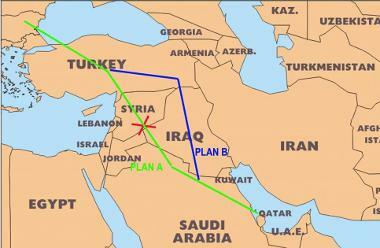 Iraqi sources confirm to Elijah J. Magnier that Turkey is indeed blackmailing Baghdad to get a Qatar-Turkey pipeline. The blackmail also has a water resource component. I wrote on that here back in August. I recommend to read the above linked Magnier piece together with my speculations below.